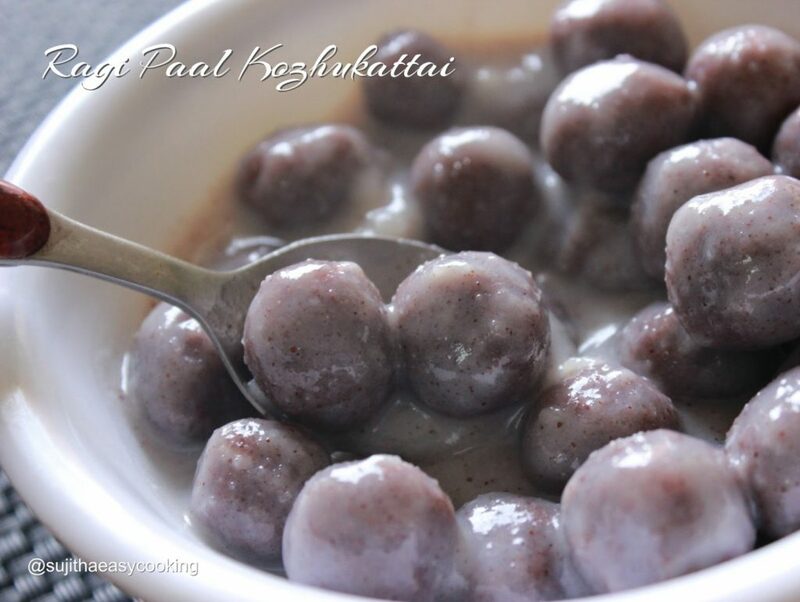 Ragi Paal Kozhukattai, This delicious healthy sweet balls are best for breakfast.. I’m happy with the delicious sweet balls.. also we too started millets in our diet..
Nowadays millets and grain awareness is high in India, our grandma prepare lot of dishes in millets, and here too i started making some delicious dishes with it.. soon you’ll get a visual treat and some healthy recipe to add in your chart… this is similar to rice flour paal kozhukattai.. if you have a regular method of pawl kozhukattai, then go with your preparation.. but i assure you this procedure had a mouth melting ragi pawl kozhukattai.. 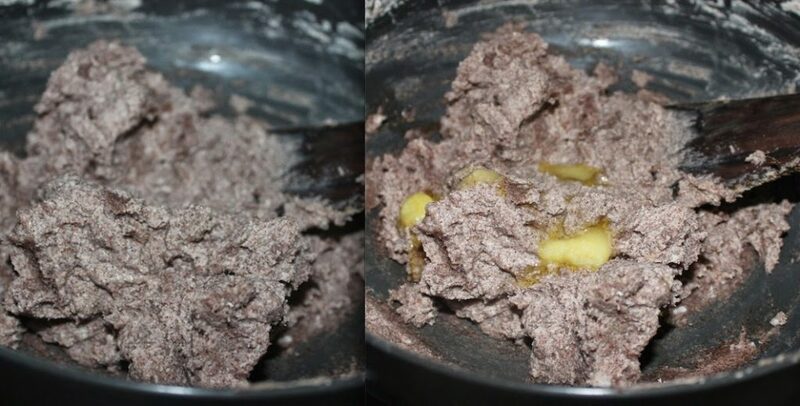 Lets go with the Recipe..
1. 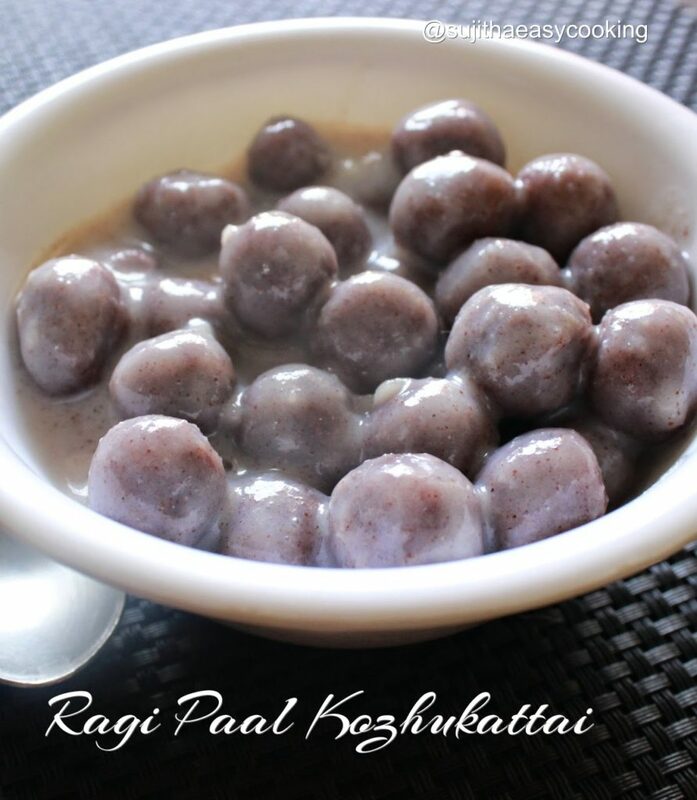 Take Ragi flour, Rice flour, coconut and salt in a pan and add some water, mix them without any clumps..
2. Cook the Bater and roll it out from the pan.. add a tsp of ghee and knead well..
3. Mak even size balls and steam in a idli steamer..
4. 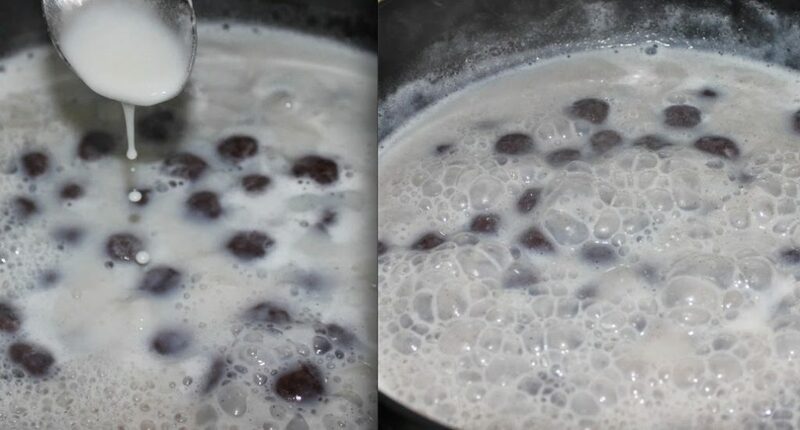 Heat a cup of water and add the steamed balls to it.. now add in the cup of milk and brings this to boil well..
5. Addi in the sugar and cook till they dissolve, it may take 4-5 mins..
6. Dissolve a tsp of rice flour and set aside, and add in the rice flour mix to the pan and cook till the gravy gets a thick consistency..
Can add some grated coconuts in the last step..
Add a cardamon for a good flavor, i didn’t use it here..
very healthy and delicious paal kozhukatai .. looks super yumm and very healthy one ! !